Government of Colombia is offering Scholarship to foreign citizens interested in doing Specializations, Masters and PhD programs in Colombia. They are financial grants offered to foreign citizens, in return for international cooperation received by Colombia under existing cooperation agreements. Government of Colombia Postgraduate Scholarship Eligibility. The scholarship is open to foreign professionals in the range of age between 25-49 years old. The candidate should have undergraduate degree (university degree or bachelor) in different disciplines. 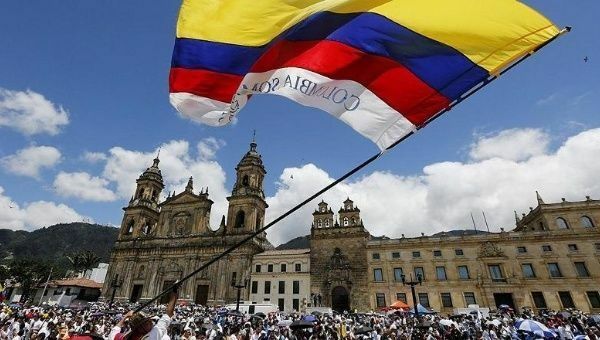 The candidate should have a grade point average of 4.0 on the Colombian scale of 1 to 5, and at least 1 year of professional experience in their field of study. Prove minimum one year experience in their field of study, after obtaining the degree. The candidate must have successfully completed college. The candidate must have an admission letter from the Colombian educational institution in any career determined in the catalog annex to this call. The academic program should start in the second semester of 2018. Admission to programs starting in 2019 will not be contemplated. The candidate must not live in Colombia and must not have Colombian nationality. NB: Addressed to all countries cooperating with Colombia, except ecuadorian, peruvian and frencha citizens as there is a program aimed to professionals from these countries. Government of Colombia Postgraduate Scholarship Benefits. TUITION FEES: 100% coverage of all these costs granted by the Colombian universities (only for academic programs found in the catalog of this call). INCIDENTAL: Grant of $208.853 COP) for once during the period of studies, just in case of circumstances beyond the beneficiary control. HEALTH INSURANCE: Wide coverage in medical assistance only in Colombia, during the period of studies. NB: Postgraduate scholarships in Colombia will have a maximum of twelve (12) months for specialization and twenty-four (24) months to master and up to thirty-six (36) months for doctorate. The scholarship holder of doctorates that last more than 3 years have to assume by themselves the allowance for the rest of the program. Nevertheless, the Colombian university will cover all the tuition fees during the whole program. Government of Colombia Postgraduate Scholarship Selection Criteria. How to Apply for Government of Colombia Postgraduate Scholarship. Follow the links below to apply and learn more about the Colombian Government Postgraduate Scholarships. Scholarship Deadline: June 2nd 2017.